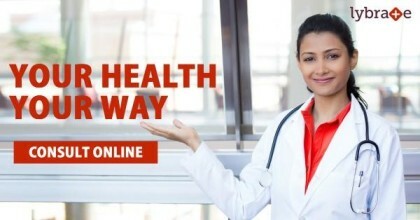 NEW DELHI: It seems like a good year for internet based- healthcare startups. Healthcare communication and delivery startup Lybrate on Wednesday announced that it has received a series A funding of $10.2 million from Ratan Tata, Tiger Global and Nexus Venture Partners. The startup, which enables patients to anonymously communicate with doctors via a mobile app or online from anywhere and anytime, plans to utilize the funds for product development, recruitment and augmenting technology and scale operations, it said in a statement. Founded in 2013 by Saurabh Arora, a former Facebook employee in the US, Lybrate aims to address the fundamental healthcare delivery problems in India, inaccessibility and self-medication, the statement added. “We ignore our health and rush to take a call at delayed stages when the disease has progressed to serious levels. The tendency to consult chemists because of time constraint and inertia to visit a doctor is rampant and leads to risky behaviour of self-medication,” said Arora. The ability to remain anonymous enables people to talk health problems ranging from sexual health, women’s health, psychological problems and depression, he added. Since the launch of Lybrate App in January 2015, it was downloaded 500,000 times and over 100,000 patients are visiting the platform everyday where 80,000 doctors from various specialties across India are connected, the statement said. Lybrate is scrutinizing every doctor’s license and credentials before allowing them onto the platform, it added. Lybrate competes with the likes of Practo , HelpingDoc, Praxify, AllizHealth and others. A few months back Practo had also raised around $30 million from Sequoia Capital and Matrix Partners. I am really loving this medical news website. keep up the good work, everyday i am getting latest news.